Recently, light has been shed on the USPTO’s Sensitive Application Warning System (SAWS) policy. I have personal experience with this policy. Shedding further light on this program is critical to the credibility of the patent process. This article is primarily focused on the experience that my company, Gofigure, L.L.C., and its patent counsel have had with SAWS (rather than concerns and opinions that we have about this policy based on that experience). My experience with SAWS is not a one-time circumstance, but is a body of difficult-to-obtain information that developed over a nearly five year period (and, for all we know, is likely still developing). The USPTO believes that the public has no reason to know about this internal program, which is likely why its existence is unknown to most within the patent community. As a brief introduction, I am a registered patent attorney. I began practicing IP law in the early 1990’s with a law firm before becoming the first in-house IP counsel at a well-known consumer electronics company. I left my practice over nine years ago to become an entrepreneur. I have founded/co-founded a number of companies, including Gofigure, LLC. As a brief introduction to Gofigure, Gofigure holds about twenty-five issued and pending patents on which I am either the sole inventor or a co-inventor. Many of Gofigure’s patents relate to media-playing smartphones and mobile payments, some of which have a priority date in 1999. On a number of occasions, Gofigure has made amicable attempts to sell or license its intellectual property, but Gofigure has never brought or threatened patent litigation. On different occasions (years ago), Gofigure considered whether it should develop a wireless digital music player or music-playing phone, launch an online music offering, or develop a middleware solution. In hindsight, there is no doubt that Gofigure made the right decision not to compete in the markets for digital music-players, mobile phones, or online digital music. Gofigure has received funding and has aspirations for a mobile payments account financial product. However, Gofigure does not (and may never) have a product on the market and, therefore, would currently be considered a Non-Practicing Entity (NPE). I first became aware of the USPTO’s Sensitive Application Warning System (SAWS) policy in January 2008 when a patent examiner told me during a phone call that he had just been instructed not to allow patent applications that he was examining and that were related to Gofigure’s U.S. Patent No. 7,065,342, entitled System and Mobile Cellular Telephone Device for Playing Recorded Music. The ‘342 patent, which has a priority date in 1999, relates generally to a smartphone for downloading and streaming music and storing the title of a purchased music recording in an account of the user. The examiner said that Gofigure’s patent applications related to the ‘342 patent were in the Sensitive Application Warning System, or SAWS. Neither I (nor Gofigure’s patent counsel) had heard of SAWS. It was clear from the patent examiner’s comments that this matter of the Sensitive Application Warning System (SAWS) had not been initiated by the patent examiner or his Supervisory Patent Examiner (SPE), but rather was an issue of USPTO policy that had been set and mandated to be applied to Gofigure’s patent applications by USPTO personnel in higher USPTO positions. The examiner stated that this mandate came from “way up high” in the Patent Office. Additionally, the patent examiner said that he did not know of anything that could be done to learn more about SAWS or to overcome a designation in SAWS. I found a memorandum online stating that the USPTO flags applications, under SAWS, for non-allowance and that these applications cannot be allowed until the flag is removed. The memorandum indicates that, under SAWS, the USPTO may consider during patent examination the companies and technology involved as well as potential publicity. Consistent with that memo, the patent examiner forwarded to me an internal USPTO email with the phrase – “and the public says” – and a link to a blog criticizing the Patent Office for allowing a patent that had been immediately asserted against major companies in the tech industry. Gofigure filed a FOIA request in an effort to learn more about SAWS and how and why Gofigure’s patent applications were designated into the program, but obtained very little information (and nothing substantive) from the USPTO about the SAWS program. The USPTO denied Gofigure’s requests on the grounds that providing this information would pose a serious risk that the USPTO’s screening procedures under this policy would be circumvented, that the public’s interest in the information is therefore irrelevant, and that the USPTO is not required to disclose internal deliberations by USPTO employees. Gofigure appealed at the agency level (the Appeal was denied by the USPTO). I wrote USPTO leadership about SAWS. In response, the Office of the Commissioner for Patents wrote to assure me that SAWS is not meant to stop the allowance of any applications or target specific companies, but is merely a way for examiners to identify applications that would potentially have a strong impact on the patent community and ensures examiners receive help in applying the examination standards on these particular applications. When Gofigure’s patent counsel conveyed to the patent examiner that the Commissioner’s Office had indicated that they were helping him, he replied that no one was helping him with the applications. Subsequently, the patent examiner told our patent counsel that he would allow one of Gofigure’s patent applications if certain claim amendments were made. We agreed to make the amendments. However, a week later, the patent examiner called Gofigure’s patent counsel to explain that he was “sorry” to inform that the application was in SAWS and therefore “cannot be allowed – that is the rule.” The examiner stated that he had to reject the application. To avoid any uncertainty, Gofigure’s patent counsel confirmed with the patent examiner that the application had indeed been approved by the examiner and his Primary Examiner and processed for allowance. The patent examiner stated that, when he had tried to allow the patent application, the USPTO system returned a thread – “SAWS case – cannot be allowed.” The application was indeed rejected. I communicated these additional developments to USPTO leadership. In response, the USPTO Director’s Office reassured me that the SAWS program merely serves as a check on the quality of examination, that inclusion in the program does not result in automatic rejections, and that each application, whether or not in the SAWS program, receives an examination on the merits and the decision to reject or allow is based upon the patent laws and prior art. 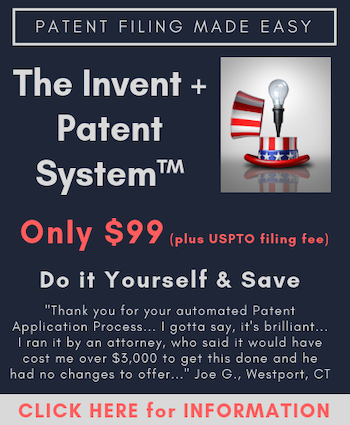 Eventually, Gofigure’s patent counsel was able to obtain some information through the USPTO’s Ombudsman program. The USPTO explained that our counsel’s law firm (a respected IP law firm) had never heard of the Sensitive Application Warning System (SAWS) because the firm, and indeed the public at large, is not supposed to know of this policy. The Office explained that the Sensitive Application Warning System is an internal USPTO policy, that the policy has nothing to do with the public, and that Gofigure was not supposed to have been informed about its designation in this internal USPTO program. GoFigure’s pending patent application was in the SAWS program because it “reads on iTunes” and that granting our patent could result in “a very, very public case”, so the USPTO had to be careful. the GoFigure patent application, that was rejected shortly after the patent examiner had indicated that it would be allowed, was rejected because a Primary Examiner had been appointed who expressed concern that “this is like iTunes.” To be clear, the patent application being examined had a priority filing date in 1999, several years prior to the introduction of Apple’s iTunes Store, formerly known as iTunes Music Store. it should not be implied from the USPTO’s actions and statements that the USPTO would never allow GoFigure’s patent applications. The USPTO stated that the claims could be allowed if they get to a point that the USPTO “is not uncomfortable with them”. On March 1, 2012, Gofigure placed this information regarding SAWS in the public record of one of its patent applications. Gofigure received a Notice of Allowance in that application later that year (the application matured into U.S. Patent No. 8,385,912, entitled Digital Media Distribution System). Since that time, Gofigure has secured another patent in this patent family. The USPTO has not placed any information concerning the Sensitive Application Warning System (SAWS), or even an indication of a SAWS designation, in the record of Gofigure’s patent applications. Gofigure is prosecuting a continuation application in this patent family and has reason to believe that SAWS is still likely an issue (but there is no defined way to know). On occasion, however, the PTO’s personnel worry that the potential for public backlash is too great to issue the patent. An official noted that in such cases, “. . .the PTO will try to find some way to continue to reject the application. The PTO has lots and lots of tools . . . . So, essentially it is a question of finding a way to continue to reject it.” (PTO Employee a 2009). It is unclear, however, how often the PTO uses the SAWS to reject patents. In sum, the SAWS provides the PTO with a mechanism to identify potentially problematic applications and conduct additional internal review, as a means of preparing for, or perhaps even avoiding, negative publicity. Earlier this year, I wrote to the Honorable Patrick Leahy and the Honorable Charles Grassley, Chairman and Ranking Member, respectively, of the Senate Committee on the Judiciary and copied members of that Committee. I provided a detailed account of Gofigure’s experience with SAWS and, in particular, explained why fee-shifting legislation cannot exist in light of such a policy (and raised questions). The Patent Trial and Appeal Board (PTAB) is notified when a patent application on appeal or a patent under post-grant review is in the SAWS program (I have confirmation of this from the USPTO). Why? Are their scenarios (and, if so, what are they), under SAWS, in which the USPTO identifies prior art that is material to a patent or patent application under review but does not cite (or delays citing) that prior art? How many patents and patent applications are currently designated in SAWS? Averages? Trends? etc. How is a patent or patent application removed from SAWS? What facts are considered? Hopefully these and many other questions will be answered and proper transparency will be brought to what is supposed to be a completely transparent interaction between applicant and the USPTO. Devon Rolf Devon Rolf is the founder of Gofigure, L.L.C. He is a licensed attorney, registered to practice before the USPTO, and previously practiced patent law. I am very sympathetic to the PTO’s dilemma with managing bad PR,but SAWS seems the wrong solution. The secrecy surrounding the program merely allows a lot of conspiracy theories to emerge. Is it merely a flag to prepare management for PR backlash? Is it a defacto extra reason to deny patents? If, as alleged, patents are not being allowed because they would cause embarrassment, then the PTO has created a bigger headache. Last I checked, causing a stink is not one of the enumerated reasons to deny a patent. Inventors who have been harmed by SAWS will find creative ways to drag the PTO into court. That is not good for the USPTO, applicants or the economy. We all know the dangers of submarine patents, and ended those through statute and laches. But what if there is entire class of patents that has been denied for bad reasons? Will they all issue many years later, with an earlier priority date, and be asserted against industries that have been maturing for the past 15 years? Will they be able to argue that the cause of delay creates a new class of “equitable” PTA? Its like entire class of Gilbert Hyatts. I hope that the PTO will clear this up before too long. As they say, its not the act, but the coverup, that causes the biggest problems. I agree with Simon’s points. But, I doubt if there are very many of these still around. It must have cost $1million to prosecute a group of patents like this for 5-7 years. Most inventors would have gone away broke, or dead, or dead and broke. Not many have the staying power of Gil Hyatt. So, stating the obvious, it follows that who owns the patent determines whether the patent is allowed, and its value. If the Rolf patents had been filed by an incumbent, they would have been allowed years ago and would have cost about 1/10th as much to obtain. Let me very clear: the SAWS program is unlawful for the USPTO to do, violates the APA, and is a complete travesty. There’s absolutely no lawful justification for the SAWS program, including that malarkey about applications being tagged by the SAWS program as being “public cases.” Those in the PTO hierarchy who generated this SAWS policy should be disciplined and, in my opinion, fired. Any patent that has been subject to this illegal SAW program should also automatically have its term extended for any delay caused by this program. How does this differ from the “second pair of eyes” program of the Dudas reign? American Cowboy’s post carries with it a simple – and potent – point. When any action by the executive agency does not comport with 37 CFR 1.2 and is thus shrouded in secrecy, there is a serious problem. That the actions also align with a greater historical trend for the Office to attempt to not do its job (referring to the Tafas debacle, along with the attempted Appeals Rules change, and with the historical – and inexplicable – drop in allowance rate known as the Reject-Reject-Reject era), point to a systematic failure of epic (and possibly criminal) proportions. How many separate indications do we need to see that something is amiss? If we as a nation are compelled to launch an investigation into the Executive’s actions regarding a sordid sexual liaison, is not the accumulated actions reflecting on a much more important Executive branch function not worth a serious look? It is intriguing that folks think this is a new issue. In the early 1980’s when biotechnology was emerging, the Office was plagued by an inability to effectively oversee examination issues related to things such as transgenic plants, animals, gene therapy, and the like. As some might recall, the emergent biotech industry flooded the Office with applications that they were ill-prepared to examine. Also, then as now, the courts had created rapidly changing legal standards, especially in regard to patent eligibility. At the time, the DC for Patent Policy was reviewing these cases b/c the legal standards were unclear and the claim language to be used had not developed. Over time, this oversight developed into the SAWS program. I administered this program for the Biotech Group in the late 90’s and early ’00’s. My role was advisory and the SAWS program actors provided advice, council, and a conduit for legal and policy advice to the examination staff. Those involved were specifically instructed over-and-over again that the ultimate decisions rested with the Primary Examiner charged with examination of the case at issue. Examiners would come to me and, together, we would get advice from inter alia members of the Office of Patent Legal Administration and folks like the DC for Patent Policy. If there was an unresolved issue (technical or legal) those charged with SAWS oversight would work with the Examiner. So, this was an internal assistance process. Lest I sound naive or a mere Office pundit, it is acknowledged that the first rule of working for the PTO is “never embarrass the Office.” We didn’t like things issuing patents to swings and peanut-butter and jelly sandwiches. On the other hand, we also knew that sometimes the law required that these things be issued. So, SAWS sought to make sure that no overt mistakes were made. As for “making every rejection possible” to avoid an allowance…I recall then DC Kunin’s reflections on a claim that encompassed a human being. We had rejected the case as patent ineligible under §101. The claim was amended to recite “non-human…” and DC Kunin was asked about the claim. His response..”The name of the game is the claim…” So, it simply no longer read on a human being…by definition. We dropped the §101 rejection in that situation, but it was after many hours of deliberation on a highly technical legal issue involving not only §101 but §112/1 (now 112(b)) as well. The SAWS program worked. The SAWS program not only protects the public, but also provides cover for the examiner since they can rely on experienced backup. It can be time consuming and frustrating for an applicant, but I would argue that at the end of the day, the best rejections, best responses, and best legal record is developed. I wholeheartedly endorse and defend the Office’s use of SAWS type oversight. The Director is charged with causing an examination and he/she is responsible for the process and result. The SAWS program provides oversight that can address issues like business methods, gene therapy, e-commerce, bioinformatics, and the like. My question is, what is more costly…litigation on a bad file wrapper or a robust examination that addresses all the issues and who’s result carries with it the imprimateur of the Government? A branch of the executive has a duty to execute the law of the land as it is set down by the courts and the legislature, and to exercise the authority delegated to it within the metes and bounds of that delegation. Regulations, rules of procedure etc. can be made but not in contravention or contradiction with the basis upon which and for which those regulations are made, the LAW, as defined by courts and congress/senate. The issue is not so much that these are secret rules/policies/procedures but that these executive actions/policies are poisoned by extraneous considerations such as “publicity” and therefor cannot be 100% in accordance with the law, unless and until a court or the statue explicitly were to state for example: “this specific question in regard to patentability, must take into account public opinion and sentiment in the matter…”. No such a statement is part of any law, set down by the court or in the legislation. There is the law. The USPTO should follow it. Introducing anything else into the process is illegal and reprehensible. …typo in post…meant 112/1,2 (112(a)(b)). With all due respect, I don’t agree with your position at all about SAWS. SAWS is in complete derogation of the APA, as well as violating the intent, if not the express letter of 35 USC 132 and 37 CFR 1.104. No amount of potential “embarrassment” of the USPTO can justify such failure to comply with the patent statutes, as written, as well as the USPTO Rules, as stated. The USPTO should be prepared for SAWS to be challenged as being beyond its duly constituted lawful authority. If the situation is and was as you describe, why was the PTO so reluctant, almost hidebound, about not coming out and telling Devon and others what the situation and plan was? Devon was thrust into a situation better suited to Franz Kafka and Arthur Koestler. If this SAWS program is truly beneficial to the process, then the PTO should be totally forthright about it. I recently became aware of the SAWS program when the guidance documents were obtained under FOIA and published (pity the poor admin person who made that mistake!). I found that one of my cases was explicitly listed (by detailed description) in the document. I got a later filed improvement patent allowed after long negotiations which resulted in amending the Abstract. The USPTO unilaterally amended the title. The first case is still being prosecuted. There is one earlier application by another whose status as prior art has been overcome. There is NO prior art for either application. But that case is not allowed either and has gone to appeal. I guess that the Board is slow, but an oral hearing has not been scheduled after 18 months. Secret rules make for a secret society. We are not one. As I see it, if the USPTO recognizes that the action of a single examiner in granting a particular patent could lead to lawsuits resulting in 8 or even 9 digit sums of money changing hands, they have a duty to be extra careful. I’m not saying that the SAWS policy is the correct solution, – I can agree with the sentiment expressed here that it isn’t – but I do applaud the USPTO for being vigilant in these cases. I guess we must agree to disagree. SAWS is a management tool and in no way violates the APA. It is not a star-chamber program. It is oversight. As for the APA…as long as there can be a final agency decision, decisions can be appealed. A twice rejected application can be appealed and the process moves forward. As for 132 and 1.104…the result of an examination is an Office Action. So long as one is issued, then the internal agency process is simply not relevant. The OA provides the transparency and the means of contesting the result. As for “embarrassment”… oh well. The Office has taken heat over the years, but why should it invite criticism when it can try to do the best job on the first pass? SAWS brings issues into the light, allows debate, and permits development of consistent policies. Whether its called “SAWS,” “Second pair of eyes,” “Quality review,” or simply, “management review,” the answer is the same. This is quality oversight of an examination staff of over 8000. Resources are brought to bear where they will do the most good…in the most complex cases with the most issues. Perhaps we can argue Title 5 in another article? The biggest problem with SAWS that I see is that the program is flagging applications for additional scrutiny if it is something that the USPTO uses or wants to use. Why should that be a sensitive application? That presents an enormous conflict of interest. With that being the policy it looks like the USPTO doesn’t want to issue patents where they may have to pay a license fee, and the optics of that are terrible. It undercuts the very purpose of the patent system and feeds into the narrative about how patents shouldn’t issue because they present a tax. It looks pretty clear that the USPTO believes the same thing. Further, there is absolutely no legitimate reason for 9 different people to substantively review an application, which is what Yahoo reported. That is clearly just pushing an application around looking for a reason to reject. The law says a patent shall issue unless the Office can reject it. There is nothing in the law about holding up an application and passing it around until a rejection can be given. If there is nothing wrong with the program then why the secrecy? This is clearly something that the public has a right to know. If anyone sues the USPTO over FOIA the USPTO will clearly lose. This deals with examination and the process for reviewing applications that are deemed sensitive is secret. There is no way to know if your application has been classified as sensitive. It fundamentally violates the regulations, which require decisions to be made on the written record. I’m a bit unclear re: your first paragraph…I cannot imagine that kind of conflict happening on any kind of concerted level. As for the rest, I am on record now and would be happy to discuss in public or private. I have no defensive stake in this b/c I am no longer at the Office. However, I do have an enormous interest in the quality of patents and a desire that the Office be a robust gate keeper. I was involved in SAWS. If the program has been corrupted, it needs to be fixed, but knowing the folks involved…I doubt a cabal exists. Not only does SAWS almost certainly violate the APA, it probably is unconstitutional. Provided below is analysis from another Law360 with which I 100% agree. I would also add that as facts come out about SAWS, there is a good chance there is probably a 14th Amendment Equal Protection Clause issue if it can be shown that applications for small inventors are more likely to be placed in this program than applications for large companies. “The SAWS program seems to violate these basic tenets of procedural due process. The existence of the program itself is not disclosed — something perhaps unique in government outside of classified, national security programs. The criteria used to select applications for the program are considerably vague, allowing arbitrary decision by government bureaucrats. The decision to place an application in the program, based on the vague criteria, is wholly unreviewable; an applicant neither is told that its application has been placed in SAWS nor does it have a mechanism to challenge the designation. Further, one of the motivating factors for entry into the SAWS program is to ensure that the PTO is not embarrassed by an patent that is issued — not to increase accuracy in applying the Patent Act. The identities of PTO employees who make decisions about particular applications within the SAWS program are unknown. And entry into the program appears to doom applications to interminable delays and a substantially reduced chance of a patent issuing. Sorry Brian, but your protests of “It’s not a Star Chamber” simply do not accord with reality. “Anon,” “Anon2,” “Anon3,” “Rational Person,” “Sid,” “tifoso”…perhaps a public debate sometime? Thanks for a great topic Gene. Brian, if this is such a beneficial thing, why the secrecy. If the PTO thinks that some cases warrant additional examination, how about amending the rules of practice to provide for that, and tell the applicant what is going on as well as anyone reading the PAIR image file wrapper? The secrecy and the explanation that the only reason for denying the application is to avoid embarrassing the PTO both undercut what may otherwise be a worthwhile exercise. How is a public debate possible when so much of the information is secret. We would expect it would be like reading one of those statements from NSA in which every word other than “the” or “and” is redacted. We do not need a debate. We need 100% disclosure of every aspect. Do you realize the irony of your wanting a “public debate” on this topic? The. Most. Transparent. Administration. Ever. Read 8. The program dates from the 1980’s and has had various names. It began with Reagan. His administration and that of his ex-CIA head VP and successor made use of secrecy that makes the present one wide open by comparison. However, the team in the White House has zero to do with a program like SAWS. SAWS is a USPTO CYA program. I have to wonder whether the PTO is simply reluctant to issue patents that may represent prior art to patents already issued to large companies because large companies often have a lot of political clout. I don’t believe that the general public really cares which company might have a temporary monopoly on a given technology, but the public good should definitely result in making sure that the oldest patent-eligible valid patent claims be allowed so that later invalid patents and temporary monopolies be eliminated as quickly as possible. This pretty much nails it. I understand (somewhat) Brian’s defense (post #8), however, good intentions do not trump following the law. If an application goes into the SAWS program, it should at least be designated as such so that applicant could refer to its designation after issuance as evidence that the USPTO has given the patent application extra-rigorous examination. Better yet, Congress could create a “gold-plated” patent standard (either applied and paid for by applicant or designated by the USPTO/not at applicant’s cost) that allows for a higher standard of review post-issuance (in both court proceedings and proceedings at the USPTO). Importantly, everything about the program should be PUBLIC. I can see the policy considerations (e.g., increased public confidence in the patent system) for permitting extra-rigorous examination on certain classes of patent applications. However, this is something for Congress to take up — not something to be implemented on the sly by the USPTO. The USPTO’s continual use of this program only reinforces the lack of confidence most practitioners have in the USPTO’s commitment to adhering to the letter of the law. Got to thinking. They started SAWS to avoid being embarrassed. But, they will be even more embarrassed as SAWS splashes on the headlines of the Washington Post, like the slacker work-at-homes. If Kate Gaudry’s article ( http://www.law360.com/articles/600378/secret-pto-program-subjects-apps-to-heightened-scrutiny ) is correct, the SAWS program looks ripe for Bivens complaints starting with individual patent examiners and working right up the chain of command. A lot of relatively low level bureaucrats seem to be making policy decisions well above their pay grade and in some cases in direct conflict with decisions of Congress. I wonder whether inventors as a class can be victims of Title 18 violations, to wit, 18 U.S.C. § 241 : US Code – Section 241: Conspiracy against rights. If the program is secret, we do not know if our application has fallen down the SAWS rabbit-hole or if it is just waiting in the queue for regular examination? That being so, how do we file a complaint? It would not be advisable to have every management oversight “touch” recorded and that is what SAWS represents. The ultimate authority to issue a patent rests with the Primary Examiner that signs their name to the application. Any other management oversight is simply that, oversight. There is no extraordinary examination. It is a rare case that anyone but the examiner does an extensive search, consideration of the art based on technical understanding of the invention, and enters into the examination dialogue. This is not to say that I have not “looked over an examiner’s shoulder” and made comments from the peanut gallery. But…there is only one set of patentability standards at the USPTO. Congress has provided for many methods of post-grant review, esp. in the AIA. This is the place where the record will reflect secondary looks at patentability outside of judicial review. In re: #31. There are always FOIA requests. The following is just a hypothetical on my part. As far as I know, no one has ever done it. I would look for a litigator with successful experience with Bivens complaints. The litigator and the patent prosecutor should conduct a careful analysis of examiner responses once the appeal of a final rejection started. Identifying misparaphrasing of MPEPs, of court cases, and of the patent applications themselves would help the judge to see the Bivens violation. Judges that adjudicate Bivens cases often have a skeptical view of such nonsense, and they tend to reject overreaching claims of secrecy requirements. I am not a lawyer, and there are all sorts of issues for a specialist in Bivens complaints. Can a Bivens action be started before the appeal goes before the PTAB? If I understand correctly, liability is personally limited to the examiner, his supervisor, and anyone that approves the examiner’s responses. In which venue should a Bivens complaint be presented? Personally, I like the idea that examiner’s should have a downside to bad or to incompetent examination. I hypothesize that an NPE having difficulties under SAWS might be the best candidate to get the ball rolling by bringing the first Bivens action against a patent examiner before the court. You stated, “It would not be advisable to have every management oversight ‘touch’ recorded and that is what SAWS represents.” Why would it not be “advisable”? Doesn’t the USPTO keep records of what goes on with an application? Further, your comment about what SAWS represents may be inconsistent with your statement @ 8, ” . . . I would argue that at the end of the day, the best rejections, best responses, and best legal record is developed. ” How can this be the “best legal record” if information is left off the record. The “best legal record” would contain a complete trail of what did or did not happen. What may be at the heart of the controversy is the USPTO’s not coming clean and explaining the SAWS program IN ITS ENTIRETY to the public as well as prompt notification to the inventor or prosecutor that an application is being given the SAWS treatment. The problem is the secrecy, the mystery surrounding SAWS. If an architect cannot see why there is a problem here, then the problem is that much more severe. Anon, you do not understand modern governmental principals. If the bureaucrats can hurt the great unwashed without the unwashed catching on, then we have transparency. My bad at 36: spelling should be “principles” …. or at least that was my original intention. What makes you think this is something new? This is how all governments work and have worked for centuries. Have you ever read Machiavelli or read Goebbels on how to gull the public? Do you remember Iran Contra or read about Teapot Dome? Far, far worse than anything we see today. The ultimate authority to issue a patent rests with the Primary Examiner that signs their name to the application. LOL … tell the Examiner that his/her application is part of the SAWS program, which is described as a program to identify ‘worrisome’ applications to the USPTO should they be allowed, and what do you think will be the natural reaction of the Examiner? To the contrary, my level of understanding informs my voice as to why such are not desired. Your comments cover at least three points. 1. Whether SAWS is an “atrocious mode of behavior”; 2 Whether there is “wanton acceptance” of such behavior; and 3. Whether either of the first two are peculiar to the present administration. 1 is a matter of opinion. I would tend to agree SAWS is wrong but am not sure I would go so far as calling it “atrocious”. 2. As the comments here show, by an overwhelming majority, those who know about SAWS do not accept it, whether wantonly or not. 3. Clearly, governments use of secrecy or exceeding their proper powers is not new. Iran Contra serves as one of the best examples, one that led to eleven members of the Reagan administration being convicted of crimes. SAWS is a mere ripple in a pond compared to the excesses of other administrations. Thank you for the injection of perspective, and the realization that “atrocity” is a bit hyperbolic. The ripple reference was in comparison to Iran Contra, Teapot Dome, and such scandals, some of which resulted in prison sentences. The main defense for a federal official in a Bivens action is official immunity from actions for damages. There are two types of official immunity available as affirmative defenses: absolute and qualified. [ Butz v. Economou, 438 U.S. 478 (1978)] Absolute immunity is granted to judges, prosecutors, legislators, and the President, so long as they are acting within the scope of their duties. Qualified immunity applies to federal officials and agents who perform discretionary functions, but may be overcome by a showing that their conduct violated a constitutional right. [Harlow v. Fitzgerald, 457 U.S. 800 (1982) ] Absolute and qualified immunity are discussed more fully below. Thanks for expanding on the comment. However, there remains the problem caused by the secrecy aspect of SAWS. We know that in the ordinary course there can be long delays, sometimes three or more years, before examination of applications. If an application is held due to SAWS, how will we know it was due to SAWS and not just the normal USPTO delay? If we do not know it was a SAWS delay, how can we bring that Bivens action? No matter what one may think of Mr. Hyatt, his claims, or his practices, the fact of the matter that he was compelled to sue the US Government in order to proceed with the action of examining his applications has a direct and rather obvious tie-in to the aspects of secrecy that permeate what is directed to be (again, see 37 CFR 1.2) a proceeding that is only based on the written record. Further, regardless of how small (or how large) the ripple of these circumstances may be, I think it an error to attempt to draw parallels to any one administration, as this is yet another sign of a long-standing (spanning many administrations) deep seated and apparently well hidden bastion of power within an administrative agency that (again) apparently remains unchecked precisely because those powers remain hidden from view. Someone is pulling the strings – who is that someone? We disagree far less than you might think. Some of my comments were directed to those who, for whatever reasons, want to blame everything bad on the current POTUS. As you note and Brian admitted, this is a longstanding program. The present administration had nothing to do with it. The ripple comparison was to a comment that called the program “atrocious” and that there was “wanton acceptance.” Mere litotes by someone. While SAWS has a profound effect on those inventors chosen by the USPTO to be pushed down that rabbit-hole, it does not threaten the nation as a whole the way Iran-Contra, for example, did. As to whether “someone is pulling the strings”, that is doubtful because this program has been implemented since the 1980’s. Is there someone who has been in power that long? Highly unlikely. Have you ever read the story of the five apes and the bunch of bananas to illustrate how policies become entrenched? That may be closer to the truth than any “Darth Vader” cause. The chances are good that this is one of those “but that is the way we have always done it” rules. Your notion of “in power that long” still rings too heavily to the changing levels of political party appointees and misses the structure with in the executive agency that does not in fact change when the President’s Office changes. Make no mistake, this is NOT an “inertia” matter. As for a comparison with Iran-Contra, I would think that you exaggerate the difference – what was the “deathly” effect immediately attributable to that offense, and what (albeit unprovable) ill effects could have been averted with innovations denied? Alas – that is a comparison that cannot be objectively made. Where did I claim SAWS was a decision by some political appointee? My analogy to the apes and bananas story goes right to the heart of how all organizations, not just executive agencies, function. The point about Iran Contra was about use of the term “ripple”. Effects need not be deadly to be so grave as to result in eleven members of an administration convicted of criminal acts. The problem with SAWS is the secrecy. Were it in the open, many objections would fade. IC was conducted in secret also. Thus, the comparison. In my example, a specific wording was added sometime after 2006 that exactly describes the technology and claims of an application. To my knowledge there are only three such applications that have been filed (by two different parties) and whoever added subject to the SAWS list does not know physics or electromagnetics in particular. That the patent office may be embarrassed by some very innovative invention being criticized in the press or by Congress is no justification for this process. I am well aware that legal and other internal parties are providing “advice” to the examiner and he clearly does not have the final word. In another example, a different examiner passed the third application to issue after negotiating an amendment to the abstract and making an examiner’s amendment to change the title. We try to play by the rules. The USPTO ought to do so as well. In the interests of transparency, would “anon” et al. care to reveal their names? If we do reveal our real names, how can we be 100% sure USPTO will not retaliate against our clients? Considering USPTO is playing “hide the ball” with us, we will do the same. If one reads through the SAWS materials carefully, one cannot help but realize that USPTO policy could prevent new treatments of deadly and dreaded disease from reaching the public. I have been hiding under a rock, Daddy. Please tell me the story of the monkeys and the bananas! Puhleeeeze! I wanted to get Gene’s OK to post the story. It is really about innovators and how the PTO and other systems beat them down. But we cannot be so bold as to come out and state that. So, we turn it into a story about apes. Start with a cage containing five apes. In the cage, hang a banana on a string and put stairs under it. Before long, an ape will go to the stairs and start to climb towards the Banana. As soon as he touches the stairs, take a hose and spray all of the apes with cold water. After a while, another ape makes an attempt with the same result – all the apes are sprayed with cold water. This continues through several more attempts. Pretty soon, when another ape tries to climb the stairs, the other apes will try to prevent it. him. After another attempt and attack, he knows that if he tries to climb the stairs, he will be assaulted. Because that’s the way it has always been around here. Rules are rules. And that’s how company and agency policy begins and continues. Your interest is shallow and besides the point. I have posted several times in the past regarding anonymous and pseudonymous posting and its rich relation to dialogue in this nation’s history. That will not happen. I suggest instead you come up with a better rationale for the lack of meeting 37 CFR 1.2 that you evidently have admitted being a part of. The story you told is usually given as an example to explain religious beliefs, not legal practice. There is another (true) story about the fifth member of an artillery gun crew who stands around doing nothing. Originally his job was to hold the horses, but the horses have been replaced by tractors. However, “that’s the way it’s always been done around here”. Thanks for the monkey story. We have some rules like that around our shop. OK, I have tried to stay out of this discussion, but I can’t anymore. I am breaking my usual posting habit of using a nom de plume, given all the prior discussions here. I was a Biotech Examiner at the PTO when the SAWS program started (and have been out of the office for many years now). I was a union rep (POPA) and heard the briefings at the time of the program implementation. Brian Stanton was one of the people in the Biotech group that advised us on the implementation of the SAWS program. it was my understanding that the program was NOT supposed to keep cases from allowance. SAWS was supposed to just give a heads-up to the Commish so that the office could have HR ready if somebody issued something controversial, particularly in the newer arts. (Little known PTO information: the PTO in general and Examiners in particular really hate to wind up on the front page of the Washington Post). As noted above, if the cases were rejected, the rejections were sent out as the office policy and the courts caught up with the lab gurus. And yes, the cases got extra attention as the examiner had to make sure that office policy concerning the newer technologies was followed. The extra attention is why the placement of a case into SAWS was supposed to be confidential; not the existence of SAWS itself. My understanding was that there was a theory that if someone knew that their case had successfully navigated a SAWS review, that it would somehow be endowed with a ‘super patent’ blessing from the patent office. Recently, I was somewhat amused at the publicity over the program, as I had no idea that it had morphed from a sort of internal cataloging system into an alleged “secret” program that was surreptitiously keeping patents from issuance. Extra scrutiny of new technology cases is not a bad thing – it helps keep the examination process more consistent. However, the program certainly seems to have changed since it was instituted, but the intention was not to secretly upend the statutory patentability requirements. Or so I thought. But what do I know? I was just an Examiner…. The fact that a program has been around for a long time does not mean that it is a good program, or is legal.